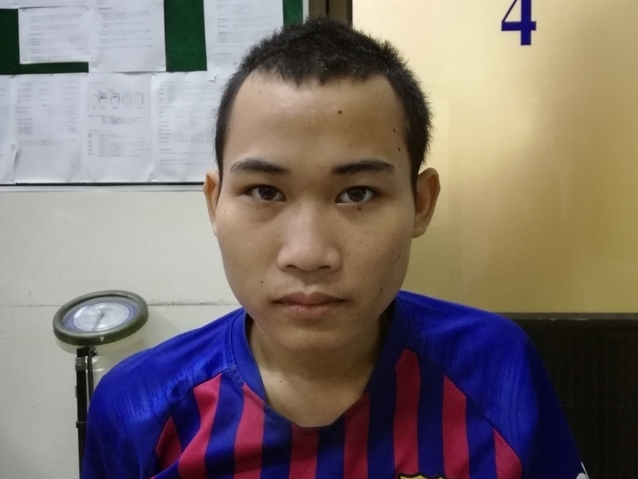 Dara is a young man from Cambodia who needs $262 to fund repair surgery. Dara is a 20-year-old farmer from Cambodia. In his free time, he likes to play soccer, listen to music, help his family with the house work, and go for walks with his friends. Last year, Dara was in a severe motor vehicle accident, injuring his right thigh. Now, the wound has become infected and is releasing discharge and causing a lot of pain. When Dara learned about our medical partner, Children’s Surgical Centre, he traveled for five and a half hours seeking treatment. On March 14, surgeons at CSC will perform a debridement procedure to remove current pins in place along with any dead bone tissue to help clean and heal the infected area. Now, Dara needs help to fund this $262 procedure. Dara's case was submitted by Lindsay Bownik at Children's Surgical Centre in Cambodia. 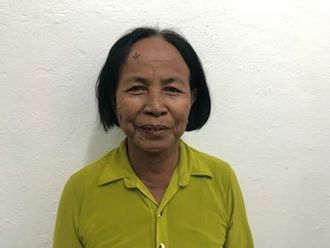 Dara was submitted by Lindsay Bownik, Stakeholder Relations Officer at Children's Surgical Centre, our medical partner in Cambodia. Dara was scheduled to receive treatment at Kien Khleang National Rehabilitation Centre. Medical partners often provide care to patients accepted by Watsi before those patients are fully funded, operating under the guarantee that the cost of care will be paid for by donors. Dara's profile was published to start raising funds. Dara is currently raising funds for his treatment. Awaiting Dara's treatment update from Children's Surgical Centre. A variety of injuries related to extensive skin loss and the cause of wounds can necessitate a debridement procedure. These include large open wounds, infection, and third degree burns. Patients who have injuries that are in need of a debridement are in compromised health and at risk of infection from bacteria or viruses entering through the open wound. Road traffic accidents—particularly with motorcycles—and hot water or fire burns are common causes of injuries in Cambodia and can often result in surgeries that involve debridement. Debridement is done using scalpels, forceps, scissors and other instruments for large wounds that have deep tissue damage. First, the skin surrounding the wound is cleaned and disinfected. After determining the depth of the wound, the dead tissue is cut away and the wound is washed out to remove any free tissue. It may take the wound many weeks to heal. However, following a debridement procedure, patients will remain at the hospital for only one week for follow-up care. By removing unhealthy tissue from a wound, the wound is able to heal more easily and it reduces the patient’s risk of disease-causing bacteria or viruses entering the body, improving the overall health of the patient. Debridement procedures come with minor possible complications that include pain, bleeding, infection, and delayed healing. Severe injuries in need of debridement procedures require surgical operation; affordable surgical care is not very accessible, and so patients travel as much as twelve hours to reach Children's Surgical Centre for free surgery, arriving by bus, motorbike, or taxi. Alternatives to surgical debridement include chemical debridement (applying a debriding medication to the wound), mechanical debridement (involves a whirlpool bath, a syringe and catheter or wet to dry dressings), and autolytic debridement (involves dressings that retain wound fluids and assist in the body’s natural abilities to clean the wound). However, these alternatives are not as effective as surgical debridement in treating severe wounds.